What Muscovites get in a soup kitchen run by the Christian Church of Moscow is something far more subtle and complex—if no less necessary and nourishing—than the food that feeds their hunger. 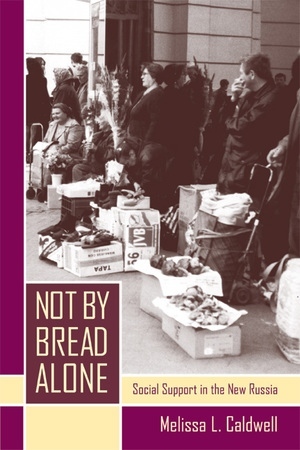 In Not by Bread Alone, the first full-length ethnographic study of poverty and social welfare in the postsocialist world, Melissa L. Caldwell focuses on the everyday operations and civil transactions at CCM soup kitchens to reveal the new realities, the enduring features, and the intriguing subtext of social support in Russia today. In an international food aid community, Caldwell explores how Muscovites employ a number of improvisational tactics to satisfy their material needs. She shows how the relationships that develop among members of this community—elderly Muscovite recipients, Russian aid workers, African student volunteers, and North American and European donors and volunteers—provide forms of social support that are highly valued and ultimately far more important than material resources. 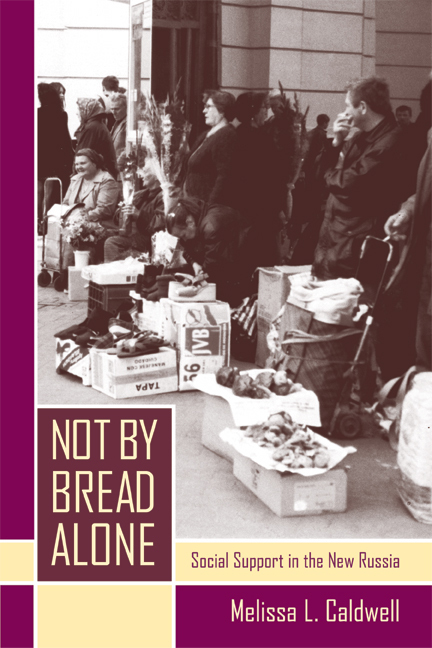 In Not by Bread Alone we see how the soup kitchens become sites of social stability and refuge for all who interact there—not just those with limited financial means—and how Muscovites articulate definitions of hunger and poverty that depend far more on the extent of one’s social contacts than on material factors. By rethinking the ways in which relationships between social and economic practices are theorized—by identifying social relations and social status as Russia’s true economic currency—this book challenges prevailing ideas about the role of the state, the nature of poverty and welfare, the feasibility of Western-style reforms, and the primacy of social connections in the daily lives of ordinary people in post-Soviet Russia. Melissa L. Caldwell has recently been appointed Assistant Professor of Anthropology at the University of California, Santa Cruz, after serving as Visiting Assistant Professor of Anthropology at Northeastern University.